Do I have to pay a rehome fee for you to help me rehome my dog? We appreciate donations to help with the costs associated with helping your dog, but it is not a requirement for our assistance. 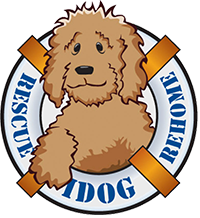 It is really helpful to IDOG if you can make sure your dog is up to date on vaccinations, heartworm tested and fairly recently groomed. All our dogs are spayed or neutered before adoption, so if your dog is intact, this will be an additional expense that IDOG will be incurring.